Future Twit: A New Way to Make Caramel Apples? Is there a new way to make caramel apples in town? In this case, maybe. 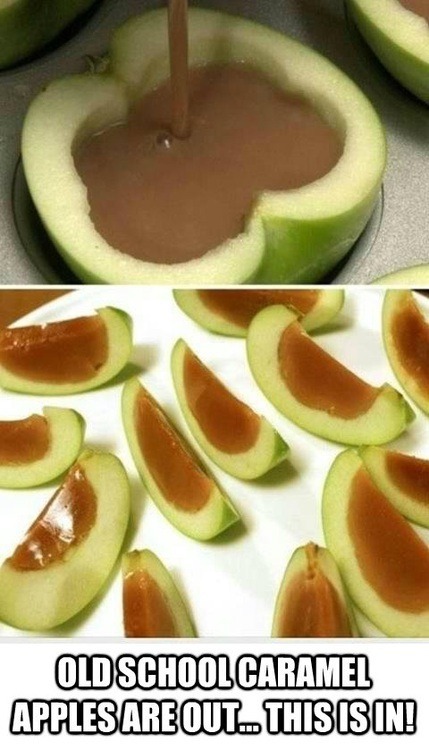 The idea is to hollow out the apples and pour the caramel inside of the apples. The picture below illustrates. Does this look like something you would ever try?